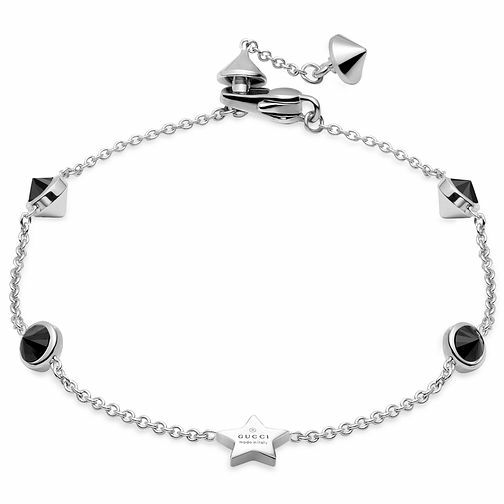 A sleek polished sterling silver Gucci bracelet, featuring a star pendant bearing the iconic Gucci stamp motif. Versatile and stylish, this bracelet adds understated chic to any outfit. Gucci Sterling Silver Bracelet is rated 5.0 out of 5 by 1.